Bodybuilding superstar Kevin Levrone recently made headlines in the bodybuilding world by announcing that he will be competing in the 2016 Mr. Olympia contest. At 52 years old, Kevin will be returning to competition after a huge 13 year absence from the stage. The last time Levrone competed on the Olympia stage was in 2003 where he placed 6th. Nostalgic bodybuilding fans all around the world are besides themselves at the thought of the Maryland Muscle Machine stepping onstage at the Mr. Olympia contest to challenge the current champion Phil Heath and the rest of the elite bodybuilding line-up. For years, many bodybuilding fans have complained that today’s crop of bodybuilding superstars are not as good or aesthetically pleasing as the bodybuilders from the 1990’s. Citing such supreme examples as Dorian Yates, Flex Wheeler, Shawn Ray, Vince Taylor, Paul Dillett, Nasser el Sonbaty and Kevin Levrone himself, there is a large number of current bodybuilding fans who long for the top physiques of the ’90’s & beyond compared to the modern day stars. When Kevin Levrone first burst onto the bodybuilding scene in 1991, he was simply a phenomenon. Competing in the ’91 NPC Jr. Nationals against “Quadzilla” Paul DeMayo, Levrone surprised everyone with his combination of large muscle bellies and aesthetic shape. He tied DeMayo going into the evening finals and was finally defeated by a one-point margin after the judges had a special pose-off. 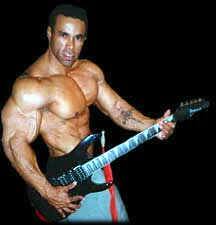 Although Paul Demayo won the overall title that night, everyone was talking about Kevin Levrone. Three months later, Kevin Levrone returned to the stage when he competed in the 1991 NPC Nationals in Pittsburgh. Featuring one of the toughest bodybuilding line-ups in the history of the NPC Nationals, Kevin took first place over future bodybuilding legends Flex Wheeler (2nd place) and Ronnie Coleman (4th place) as well as DeMayo, who was relegated to the 3rd place. Kevin Levrone didn’t waste any time making an impact on the professional stage after acquiring his pro card at the 1991 NPC Nationals. Making his pro debut at the 1992 Chicago Pro show, Kevin dominated the stage with a massive, freaky physique that blew away many established pros like Henderson Thorne and Milos Sarcev. Unfortunately, Levrone was not in peak condition and he placed a surprising third behind Porter Cottrell and Thierry Pastel. Two weeks later, he had corrected his conditioning and showed up ripped and ready for the 1992 IFBB Night of the Champions. This time, Levrone won easily, defeating both Cottrell and Pastel as well as bodybuilding legend Robby Robinson. One of the most respected and difficult pro shows at the time, Levrone established himself as a top contender for the Mr. Olympia by virtue of his Night of the Champions victory. Later that fall, Levrone proved he was a force to contend with by taking second place at his first Mr. Olympia contest. Placing runner-up to Dorian Yates, Levrone beat out Lee Labrada, Shawn Ray, Mohamed Benaziza and Vince Taylor in his first attempt at the Olympia. What an awesome debut for a rookie pro! In his 12 year career as an IFBB professional bodybuilder, Kevin Levrone placed in the top six in twelve consecutive Mr. Olympia contests from 1992-2003. He took the runner-up position in four of those Mr. Olympia contests. He won the coveted Arnold Classic title twice and was the champion at 17 more professional competitions. His career as an IFBB Professional Bodybuilder makes him a legitimate Hall of Fame Bodybuilder and one of the best bodybuilders to ever compete in the sport. In addition to his physique, Levrone also brought charisma and energy to the stage with him. As a rock singer in his own band Full Blown, Kevin loved performing in front of a crowd and he knew how to draw the audience in and feed off their energy and applause. His onstage battles with Dorian Yates, Ronnie Coleman, Flex Wheeler and Shawn Ray were both memorable and exciting. No wonder his comeback this year has created so much anticipation and enthusiasm! However, Bodybuilding history is full of disappointing comebacks. The bodybuilding world has been witness to many of the legends of the sport coming back after retirement to display subpar physiques that did not live up to their legendary status. Arnold Schwarzenegger, the undisputed King of Bodybuilding during his celebrated reign, created one of the most controversial Mr. Olympia dramas ever when he competed at less than his best and defeated the sport’s top contenders in the 1980 Mr. Olympia. Franco Columbu, the winner of the Mr. Olympia in 1976, did the same when he won the Mr. Olympia title in 1981 to a chorus of boos from the audience. Franco’s legs were way out of proportion to his muscular upper body but that didn’t stop him from winning another title and snatching the Sandow trophy from top contenders Tom Platz, Danny Padilla and Roy Callendar. Arnold and Franco, despite displaying physiques that were clearly not reminiscent of their prime, were still relatively young when they made their comebacks. Arnold was only 33 years old and Franco was approaching his 40th birthday when they won their final Mr. Olympia contests. Kevin Levrone will be 52 years old this year. Although he looks remarkably young, the fact remains that Kevin is still well into his middle age years. He was in his late 30’s when he decided to call it a career in 2003. How good can he possibly look 13 years later now that he is in his 50’s? There are several facts that are going to excite bodybuilding fans about the possibility of Kevin Levrone pulling off the upset of the century. First of all, Kevin has always been a fast “responder” to the various anabolic aids used by professional bodybuilders at that level. During the end of his competitive career, Kevin would clean out and take off months from training during his off season. With only three months left until the Mr. Olympia, Kevin Levrone would step on the gas pedal and go full bore into his training program. In a period of only 12 short weeks, Kevin would accomplish a complete metamorphosis of his physique, gaining nearly 40 pounds of muscle and typically end up placing in the top two or three at the Mr. Olympia with very limited preparation time. 1980 Mr. Olympia contest, he ended up injuring his shoulder and had to get a cortisone injection before the contest. The water retention he incurred as a side effect from the pain killer drastically affected his condition and Arnold was holding water during the prejudging. The last factor is the motivation that Kevin will have to compete in the Mr. Olympia. If Levrone feels like he has something to prove, he could accomplish the impossible and take his physique to new levels. There is nothing as powerful as the human mind. With his remarkable genetics and his responsive body, Kevin could potentially shock the world if he feels like he has to prove to everyone that he is the best, and places near the top of this year’s Olympia. The reaction among the Bodybuilding Experts to the news of Kevin Levone’s comeback is varied and controversial. Some experts feel that Kevin is going to embarrass himself trying to compete against the younger top professionals like Phil Heath, Shawn Rhoden and Dexter Jackson. Trying to make a comeback in your 50’s against the best bodybuilders in the world is guaranteed failure, the experts are warning. They predict Kevin will place anywhere from 11th to 16th place and look like a shadow of his former winning self. 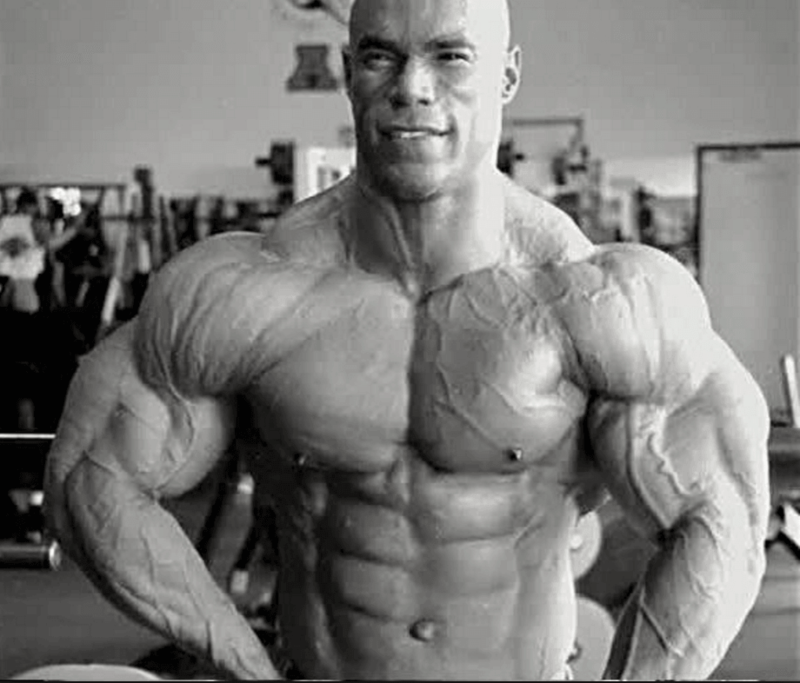 Other bodybuilding experts are more optimistic about Kevin Levrone’s comeback. They feel that Kevin will surprise everyone and return to the stage looking the same as he did 20 years ago. They point out his amazing genetics, his response to training and anabolic aids and the fact that he is motivated to prove everyone wrong. As of this date, Kevin Levrone is responding very well to his training program. Following along with his progress on his social media, Kevin seems to be growing each week as the Mr. Olympia contest gets closer. 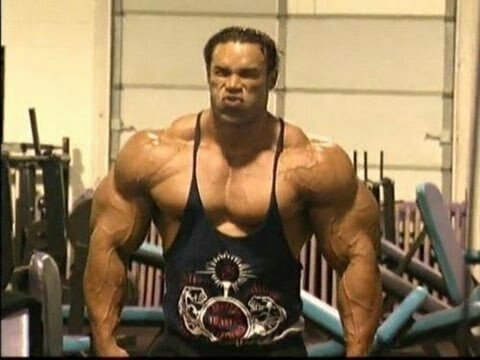 The photos and videos that are posted show Kevin by himself in the gym or in front of the bathroom mirror and not in comparison to the elite bodybuilders he will be standing onstage with, of course, but the old Levrone physique seems to be quickly returning in leaps and bounds. People close to Levrone claim that he is getting bigger and harder weekly. Kevin’s loyal fans are beside themselves at the prospect of a ’90’s version of their hero returning to the stage. classic bodybuilder that is more focused on conditioning and shape will be the focus of Kevin’s comeback as opposed to the ultra huge and extremely hard modern day bodybuilder who sometimes resembles more of a science experiment than what Kevin feels a bodybuilder should look like. Though the Bodybuilding World is full of disappointing and even embarrassing comebacks, we all long to see our former champions return to the stage as we remember them. Unfortunately, time is a cruel and unforgiving force of nature. Can Kevin Levrone battle back Father Time to return to his glory years and beat out many of the current pro bodybuilders at the 2016 Mr. Olympia contest or will he be another statistic of someone who’s time has passed? The stage is set for one of the most exciting and anticipated Mr. Olympia contests of all time. Kevin is growing by the week and plans on creating one of the most exciting scenarios seen on the Mr. Olympia stage in decades. The truth will be revealed when Kevin Levrone steps on stage on Saturday September 16 th in Las Vegas, Nevada! Stay tuned! Meanwhile, let us know your predictions and how you feel about Kevin stepping back on the highest stage!